Did you know that there is no “mother-ship” in NY, or elsewhere, that sends funds? Chabad of Cary Chai Partners make a special commitment to investing in Jewish Life in our area by providing steady, reliable core funding for the Cary Chabad. 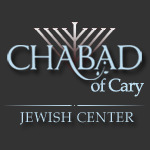 Unlike most synagogues and temples, Chabad of Cary does not require annual membership dues or building fund fees. Our events, programs, High Holidays, and Hebrew School are open to every member of the community. Creating joyous and meaningful Jewish experiences for everyone without any strings attached is central to our vision. 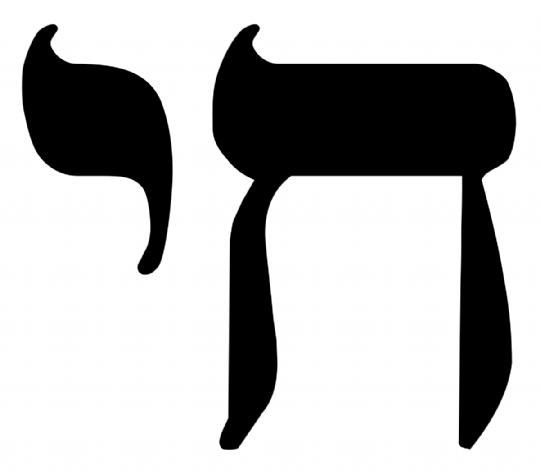 Walk into a class or Shabbat Service and you will immediately feel at home. However, very much like most synagogues and temples, Chabad of Cary is dependent on the generous support of members of the community to cover our budget. CHAI means life. The support of our Chai Partners, committed to supporting our annual budget on one of the levels below, is our lifeblood that will allow us to continue serving our community. 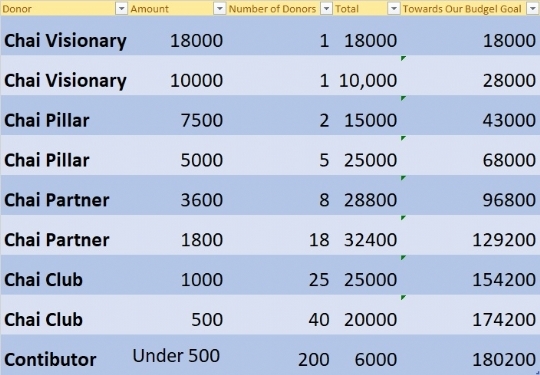 Chai Club – Monthly Donations of at least $36/month. You can now complete our CHAI PARTNERSHIP form online.